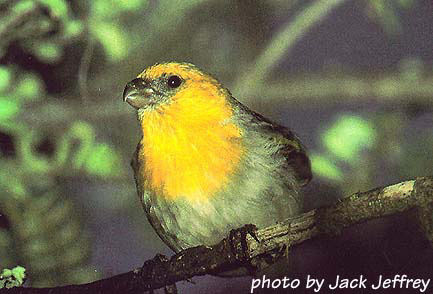 The Hawaii Biological Survey compiles information on all of these species with the assistance of various state, federal, and local agencies and works with these partners to disseminate this information, including these web pages. Please feel free to browse our pages, see images of these rare and fragile species, learn about their biologies, habits, and where they occur in the Islands. lavender for Species of Concern. How fast are species becoming extinct? Check out a live link to our "extinct-o-meter"! Copyright © 1995-2003 by Bishop Museum. All rights reserved. All media are for the personal use of students, scholars and the public. Any commercial use or publication of them is strictly prohibited.